The Fourth Chakra is known as the Heart Chakra, located in this area of the body. The Heart Chakra’s colour is green and is said to be the house of the soul. This Chakra is the centre of love, compassion, harmony and peace. Driven by love, it influences forgiveness, compassion, empathy, trust and equilibrium and eases with our life. We fall in love through our Heart Chakra, then that feeling of unconditional love moves to the emotional centre commonly known as the Solar Plexus Chakra. The lower Three Chakras relate to personal energy and the higher Three Chakras refer to the self within the collection conscious of higher guidance. The Fourth Chakra is the place where these six Chakras converge, so the Heart Chakra is essentially the foundation of the astral body, the connection between our physical and our spiritual body. When the Heart Chakra is in the balance and harmony with the lower and upper Chakras, we can strike the perfect balance which allows us to bestow the feeling of unconditional love. We feel at peace with ourselves and the world around us. It aids in rejuvenation, rebirth, success, growth, prosperity, development and renewal, bringing balance to all parts of ourselves, in turn, this helps us to help others. A lack of balance in the Fourth Chakra can be due to a lack of balance in the first three Chakras. If this chakra is not working correctly it can create negative influences in the physical this can be seen in the form of circulatory, lung or heart problems. Problems with this chakra can cause us to become unstable and also emotionally unstable, this can cause us to play the martyr or become obsessed, or to feel, unloved, suspicious and also cause us to repress things. We fall in love through our Heart Chakra, that feeling of unconditional love. 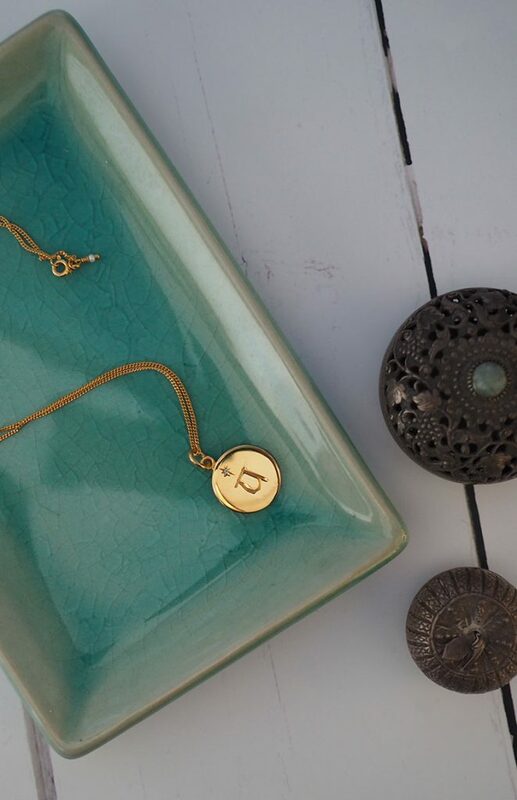 Romantic sentiments and values to carry around your neck always with the Heart Chakra Necklace by Bianca Jones Jewellery. I am so pleased the personalised ‘Alphabet’ Necklace arrived, only thing now is that I deeply desire to keep it for myself! Thank you so much for following it up, such a beauty of a necklace.